Writing female characters shouldn’t be hard. Nick D. tries to parse out why so many people have such trouble with it. Over the past few years, there has been a sharp increase in demand for female main characters in video games. This isn’t surprising considering that almost 50% of gamers are female, yet the vast majority of protagonists are male. As this is a fairly major issue in the gaming community at the moment, there are a wide variety of different approaches an editorial can take when examining the problem. To put it simply – a proper and comprehensive look at the state of female protagonists in video games would be a thesis far too great for a single article to do it justice. Therefore, I’ve chosen to limit the discussion to merely the aspect of writing female characters, and how some people see this as an obstacle to creating believable female characters in video games. Outside of my writing on the video game industry, I write novels – urban fantasy, new adult stuff, mostly. As it happens, the majority of the characters I write are female, including the protagonist of my series. Despite being male, I’ve never had even the slightest difficulty writing female characters and it strikes me as odd that people do. I subscribe heavily to the train of thought that women are people, not some foreign beast that is unknowable. I can write people. Actually, as a writer, I can write foreign beasts too; that’s part of the charm of imagination and intuition. Nevertheless, for reasons that are beyond me, it is still a widely held belief that women are so inherently different from men so as to make understanding how their minds work completely impossible. An example: when I was writing my first novel, a friend of mine asked me if I had any female characters in it. This struck me as an odd question, but I answered truthfully that I did indeed have female characters in my book. He scratched his head and asked me how I did it. It took me a second to realize exactly what he was referring to – that women would somehow be difficult to write. I gave him essentially the exact explanation I wrote above, that men aren’t from Mars and women aren’t from Venus; they actually meet somewhere in the middle on a little place called Earth. I don’t think it was a satisfying answer for him. Now, don’t get me wrong. There are differences between the genders. Anyone who’s looked at an anatomy poster can tell you that. I just put forward that the differences between men and women are not large enough to restrict writers in any way. Yet, when writing women, many writers seem mystified that women are capable of not being a cookie-cutter stereotype. For example, when we get a legitimately badass female character, people treat it as something of a novelty, like the character is wearing her father’s shoes. The reveal that Samus was woman in the original Metroid was played for shock value because of how much of a reversal it was. 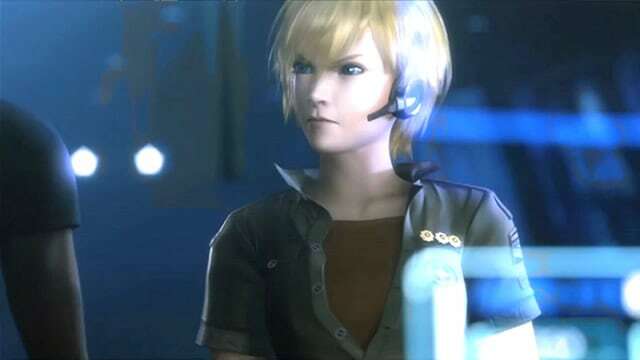 Now, this was in a different time, and Samus is, ignoring Metroid: Other M, one of the best-regarded female characters in the industry, but you see these kinds of things over and over again. People argue that you shouldn’t make a women the lead of a video game simply because she’s a women. I agree, to an extent. When you write a part and shoehorn in gender equality, the results are embarrassing for everyone. However, the exact same argument works when writing male characters. You shouldn’t write a male in as the main character simply because you’re afraid there are men out there who cannot identify with the opposite gender and will not play as them. Actually, there are many men who prefer to play as the opposite gender as fellow Gamemoir writer, Victor de la Cruz, attested recently. The major trouble with shoehorning a female character into a game isn’t the female part – it’s the shoehorning. Poorly done writing is poorly done writing, and nobody wants someone else to command them to add in elements that they didn’t want in. Then you get into the trouble of how you actually approach female character writing. Unfortunately, there are often roadblocks in the way that stop people from writing female characters out of the stereotypes. How many female characters out there don’t have some aspect of mothering and care-taking involved with their character? Now, how many of those characters needed to have that trait told to us during the course of the game? It would be the equivalent if every male character had to go out of his way in every game to show off how manly he is or how much of a paragon of chivalry he is. Actually, reverse that. How many male characters show the caretaker trait and are not overtly shown to be feminine as compared to the rest of the cast? Caretakers aren’t limited to women in real life, yet the vast majority of caretakers in video games lack the y chromosome. Traits that work and are part of the story and characterization are important, but when they are added simply because the writer didn’t think you’d buy the character as that gender, you get a problem. Female characters that lack the caretaker trait, for example, are often labeled as ice queens or manly. The character of Lightning from the much maligned Final Fantasy XIII is one such character who garnered such accusations. It got bad enough that the writer of Lightning Returns: Final Fantasy XIII ended up writing in that her emotions were taken from her. However, a male character with the same dialogue and performance would not be questioned in the same way. There are many times where Lightning did something genuinely badass, but those moments were quickly dismissed by the fanbase, although, I will admit that pretty much everything that stems from the Final Fantasy XIII series was quickly dismissed by the fanbase. In fact, one of the better female characters of the last generation, the female version of Commander Shepard from Mass Effect, was only so good because the writers actually were lazy. The female avatar option wasn’t expected to be popular, which is why an official appearance didn’t even come about until the last game in the trilogy. Even still only 18% of players who beat Mass Effect 3 played as the female Shepard. But Femshep, as she is widely known, was very popular among women and men alike even with this statistical barrier. So, how did the writers of Mass Effect manage to create such an effective female character? They didn’t. They just imported all the dialogue over from Femshep’s male counterpart and got the incredibly talented Jennifer Hale to read it. There were no changes to emphasize her femininity. Instead, she was treated the same as her opposing gender – as a soldier. This is the exact thing that occurred with Lieutenant Ellen Ripley in the 1979 movie Alien. The script was written referencing only last names. Sigourney Weaver was cast in a role, whose dialogue was designed entirely for men, and it worked immensely. Sometimes, it is very important to emphasize differences, but only when it is relevant to the plot. A game set in a totalitarian state or futuristic colony where women are second class citizens may need to push gender differences more than a game set in a fantasy universe where women and men are seemingly equal. The character Ellie from The Last of Us wouldn’t have been more effective if she had been written with shock and amazement over the fact that, as a female character, she is able to handle herself in the post apocalyptic world when the script didn’t call for it. I see this kind of hesitation over female characters everywhere when people start talking about gender issues in video games… well, when you look past the general hyper-vitriol that gets slung the second the issue is brought up. People are under the impression that women are impossible to relate to for male audiences. This ties heavily to writing in that it seems to be a widely held belief that women are so inherently different that men will essentially be unable to play female characters. Being able to relate to a character is totally subjective, as is its importance. However, publishers are selling men out short to assume that the majority of men are incapable of relating with someone simply because they have breasts. The entire concept reeks of prepubescent children making up stories about cooties or what not on the playground. Relation shouldn’t be a bar for writing male or female characters. I don’t relate to Kratos from the God of War series at all. Actually, anyone who does may need some serious psychiatric help. But the fact I cannot relate to Kratos doesn’t mean that I can’t play and enjoy his games, or even like him as a character. Of course, some games and gamers are different. Some games are written in such a way that the player is simply an observer of the character’s struggles. This is primarily what we’re discussing in this article. The other type is the one where the player is supposed to be directly represented in the game such as in Dragon Age or every MMO under the sun. In these situations, not being able to relate to your character is more of a problem because they are your avatar. That being said, I want to set this aside because these games are a different fish than the bulk of story-driven games and are also often characterized by mute, totally customizable protagonists, which, as you may have guessed, don’t actually require much writing. Where does this leave us? Nowhere, actually. I merely hope that I’ve shed some light on the strange position many people are in when they try to write for female characters. We are in a massive period of development in the industry, and gender equality is a major player. Indie games like Transistor and small-scale games such as Child of Light have shown that there is room in both the indie and traditional publishing market for female protagonists. It is mainly the AAA blockbuster games that stand as the holdout, but even these are being chipped away as the perception of gamers changes from being sweaty boys in their parent’s basement to everyone enjoying video games from high-powered executives to soccer moms and stay-at-home dads. Wow. Great read. I think whether or not a writer is comfortable writing from a female perspective depends on the writer. Some, take Stephen King for instance, tend to gravitate towards writing characters that resemble themselves. That’s why most of his heroes are writers who love classic rock and folk music. He writes what he knows because that’s what works for him. Others excel at really getting into the heads of other people, like Terry Moore, who wrote the extremely female-centric comic Strangers in Paradise. It just depends on somebody’s writing methodology. I feel like video game writing is just coming into its own and given the added scrutiny towards female characters in gaming right now, I can understand the intimidation and why a lot of men would rather avoid the issue and stick with what they know. But that’s a great point you made about successfully using the exact same script for both Shepards. In fact, it pretty much wipes out their entire argument. Nicely done. Would you believe that I’ve actually read comments from men on YouTube about how the majority of gamers are men and they would never buy a game staring a woman? Even if that was true ( I don’t look at statistics), I’m a woman and I play games staring men all the time. I don’t see how a man playing a game staring a woman is any different. It’s really ridiculous. I try to push some of them off, assuming that they haven’t reached their teens yet, but it’s worrisome to be sure. Nick, I enjoyed reading this piece. I find that I write characters – some are male, some are female, some are cartoon cats. What makes them hard or easy to write is how well I can get their character into my head and find their voice.